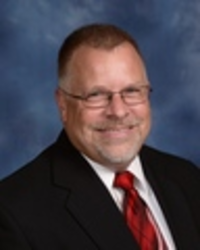 Pastor Barry Akers is a native of Milwaukee, Wisconsin. He joined the staff of Our Redeemer in December of 1999 after serving two different congregations in Missouri. Pastor Barry is a 1987 graduate of Concordia University Wisconsin and a 1991 graduate of Concordia Seminary in St. Louis, Missouri. A veteran of youth ministry, Pastor Barry serves as Our Redeemer's Associate Pastor. Among his duties include working with the Boards of Deacons, Parish Life and Christian Outreach, and coordinating ministries to the families of Our Redeemer. In addition, he also serves as the pastoral advisor for the Lutheran Church – Missouri Synod's Servant Event Committee. Pastor Barry is married to Kaila, a second grade teacher at Redeemer Lutheran School. He is also dad to Hannah and her husband Jonathan, Ben and his wife Amber, and Caleb. He cherishs his young grandchildren Matthew, Elizabeth, Lydia, and Silas. In addition to spending time with his family and friends, he enjoys reading, singing, and taking walks with his wife and dog. "I feel extremely blessed," said Pastor Barry, "to serve our great God at such a caring and loving church like Our Redeemer and in a wonderful community like Kokomo."